Today I will continue our look at Dr. W.E. 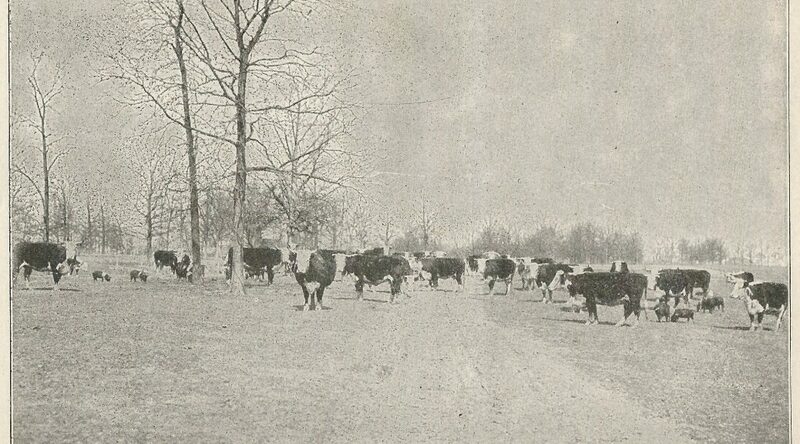 Taylor’s Soil Culture and Modern Farm Methods (1913) by discussing a section highlighting issues of supply and demand in agriculture in the 1910s. Taylor’s book was also the subject of two prior posts: The Best Kept Secret to Successful Farming, Part I and Part II. 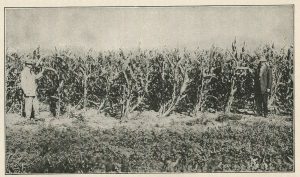 With the increase of production of corn in the early 1900s due to better technology and und erstanding of farming techniques, the price of corn dropped by nearly 50%. This dramatic increase of supply placed farmers in a difficult position. How would the farmer gain “a fair return on his investment” if the price of crops drops so significantly as the supply increases? Taylor suggested farmers use the extra supply of corn to “create a greater market” for the corn. How so? Raise more beef cattle. It seems, therefore, that the demand [of meat] will continue to increase not only at home, but abroad; hence it should require no argument to convince every farmer that it is to his interest to create a market for his corn and other products by raising enough live-stock to consume them. Taylor suggested an innovative solution that is clearly reflected in the state of the food industry today. The demand for meat today continues to grow around the world as it has moved from an occasional treat to a staple of many people’s diets. As meat has become more and more available, the demand seems to have simply kept up with the supply. The demand for cheap meat continues to play a huge role in the economics of agriculture. An interesting dilemma comes out of this shift that Taylor suggested 100 years ago. Today, the natural food movement has promoted a change from predominantly corn-fed beef to grass-fed beef. Corn-fed beef is cheaper because of the high availability of corn. However, grass-fed beef, considered a healthier option, requires more land and more time for the animals to grow to maturity. The consumer wants cheap and high-quality meat. Is it possible to have both? Taylor’s insights help us understand why agriculture shifted as it did, but does little to suggest a solution to this troubling dilemma for both the consumer and the agriculture industry. W.E. Taylor, Soil Culture and Modern Farming Methods (Minneapolis, MN: Deere & Webber Company, 1913), 225.